The only (100% online + on your schedule) course that teaches you how to move commodities around the world. Imagine waking up, a bit jet-lagged by your last visit to a supplier. You prepare your coffee while checking your last messages. Your client confirmed your last offer and the market is moving in the right direction. You smell your coffee while mentally counting your P&L. You’ve made money. This is what a trader experiences and you can too ! But before carrying on, I need to warn you: you want to get in one of the most competitive industries there is… The big companies out there receive more than 1000 CV per openings. How do I show my willingness to do the extra step? How do I outsmart the other contenders? How do I put myself in a position to succeed? This course is designed to give you the tools you need to succeed in your job hunt. The shipping and commodity operation course will teach you how to move any kind of commodities from anywhere to anywhere. With that knowledge, you will be able to ace job interviews and finally break in the most exciting and secretive industry that exists! I already see some of you objecting: HEY! I want to be a trader… I need to know how to trade! Not how to move commodities! This is where you are soooooo wrong my friend. Learning how to move commodities is the skill traders need to master. Skipping this phase would lead to a big hole in your education and may prevent you from achieving your career goal. Furthermore, put yourself in the employer shoes: who you would rather add to your payroll? The professional you need to build from scratch or the one with the basics assimilated? Commodity and shipping businesses are not for the faint-hearted. It’s a fast pace, high pressure, money-driven environment and if you don’t feel up to it – stop reading here. The course is constructed around 5 modules containing 3 to 8 lessons. Each lesson includes a video of 10min to 45min with downloadable support materials. At the end of each lesson, you will be tested through a multiple-choice questionnaire in order to make sure you understood the core principle. In term of timing, you have 4 months to finish the 5 modules, which should be enough time as 1 hour a day would allow you to complete the certificate in 5 weeks. The lessons are taught by 5 professionals from the commodity trading world. I don’t want to brag but it was not easy to convince them to help me with this enterprise! As you can imagine, they are all very busy with their current work ( all of them earn over 6 figures income ) and were not really keen on spending their weekends with me and a camera recording their knowledge! But we did it! Think about it… How many people working in the commodity and shipping industry do you know? How many of them would agree to teach you the inside out of their jobs for hours? For that reason, if you are serious about your career choice, this certificate is a no-brainer. I want to subscribe to send you an email! No. This is a complete learning system. No, you need to unlock the modules one by one. “IS THIS JUST FOR YOUGNSTERS? I have a busy job and lot of kids, is it for me? We designed shipping and commodity operation courses for people of different ages, locations and skill levels. Age makes no difference. Well… The course will do the job for sure. But I’m not an employment agency and don’t want to be. That being said, if I hear something about a job and think that one of my students could be a good match I will for sure do the introduction. If you need more time, we can put the course on hold. No prob. The shipping and commodity operation course is a video course with pdf as supports. The Shipping and Commodity Academy comes from a double frustration on my side. Frustration number 1: the amount of BS about commodity trading on the web is mindboggling. Most of the time, the information comes from self-proclaimed traders creating content to persuade you to sign in on a broker platform. On the other side, the trading firms are still holding to their secrecy mindset and there is no clarity of information. All the teachers feel exactly the same way about it. Frustration number 2: I’ve always had an entrepreneurial hitch. As you need to work a lot to be a successful commodity trader, it’s difficult to start something and devote the time needed to succeed. With the Academy, I can scratch that hitch and continually expand my network in a completely different new way. In a few years, I’m certain, I’ll be closing deals with former students! You are just one course away from the most exciting industry ! 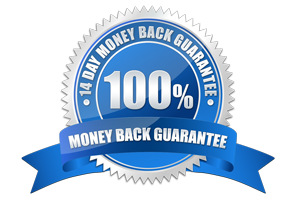 We offer 14 days money back guarantee !!!!!! !